The EX4200 Ethernet Switch is a compact, fixed-configuration solution that deploys easily in campus installations, as well as in 1 Gigabit Ethernet (GbE) access environments in the data center. Juniper's Virtual Chassis technology can be used to connect up to 10 EX4200 Switches as a single, logical device, delivering a scalable solution perfect for growing campus installations. The EX4200 can also be combined with EX4500 and EX4550 Switches in the same Virtual Chassis to support mixed 1GbE and 10GbE environments. The EX4200 Switches support 10/100/1000BASE-T with both 24- and 48-port configurations and optionally include full or partial IEEE 802.3af Power over Ethernet (PoE) or 802.3at PoE+. A 24-port 100BASE-FX/1000BASE-X SFP-based fiber configuration is available for gigabit aggregation in long-distance deployments. Available uplinks include four-port GbE or two-port 10GbE copper or fiber configurations, with and without Media Access Control Security (MACsec) capabilities. 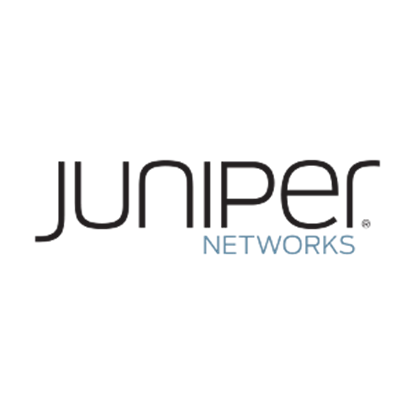 IField-proven Juniper technology: A carrier-class architecture, coupled with the Junos OS, enables EX Series Switches to provide carrier-class reliability for every application.